Located in the Lewiston-Auburn region, Lost Valley was a pioneer in snowmaking and grooming technology. This small ski area features a variety of novice terrain, as well as some challenging expert trails. The western Maine ski area continues to grow after being rescued from closure two years ago. Lifts are being installed in at least three states. The small Maine ski area has been diversifying its revenue streams. Why Lost Valley was purchased and what the future plans are. Ski area projected to open in mid December under new ownership. After obtaining tens of thousands of dollars from a fundraiser, Lost Valley is moving forward with preparations to open. The $5,000 pledge was triggered by a $5,000 donation from Emerson Toyota. $40,000 more is needed by October 17 to reopen the Auburn, Maine ski area for 2014-15. 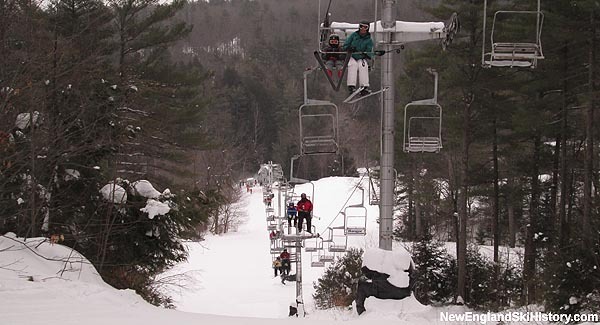 At least $50,000 is needed by October 17 to reopen the Auburn, Maine ski area for 2014-15. Lost Valley owners are struggling to obtain a line of credit to continue ski operations.